Come see Merkavah’s Last Concert of the Year! An upcoming concert with Merkavah @ Sullivan Hall. 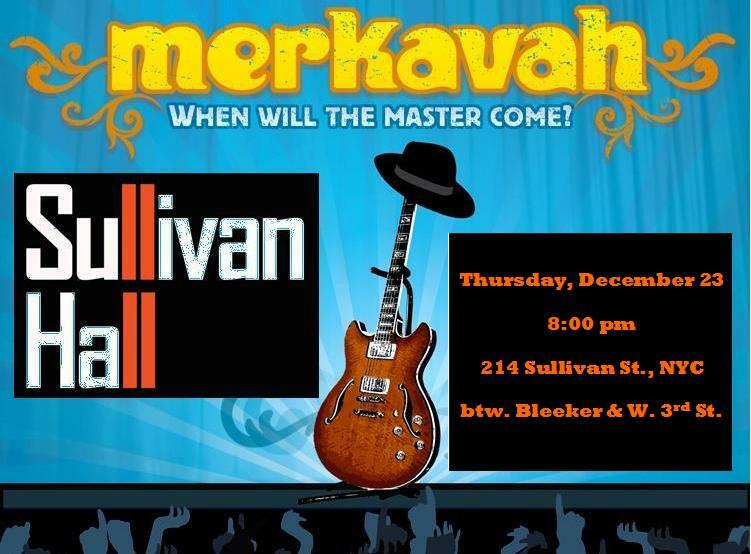 Come on out and catch Merkavah’s last performance of 2010! Thursday, December 23, 2010, 8:00pm – 214 Sullivan St. btw. Bleeker & W. 3rd St.